Who is it for? 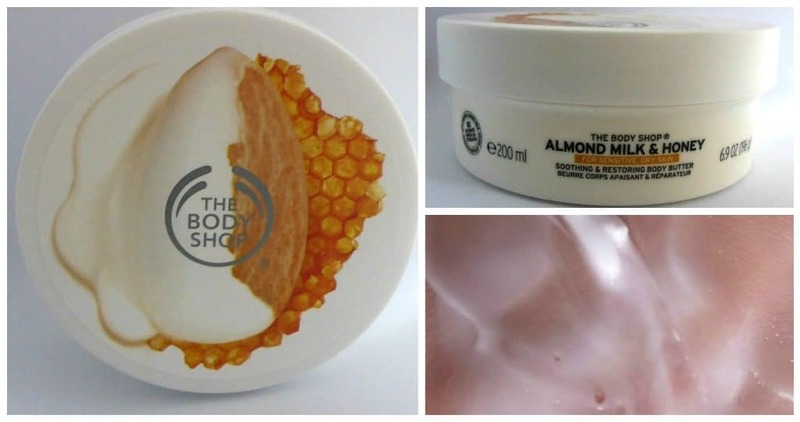 The Body Shop Almond Milk and Honey Calming and Protecting Body Butter Is for those girls who have dry and sensitive skin. Wash the skin and pat dry. Apply as required and massage in. Whipped light butter consistency. Gets massaged and absorbed in nicely. Mild fragrance of milk, honey and almonds. Soft and feminine. Excellent. It deeply moisturizes and soothes the skin. Especially if you have itchy skin. This will soothe and nourish it. Would I Recommend This Body Butter? Absolutely. This is a fantastic product! If you need good regular use body butter, go for it. More Body Shop Body Butters? VICCO Turmeric Skin Cream in Oil Base- Good Buy ?